Meet Bronzation's and Blue Universe's cousin: Green Stardust. It is probably the least 'exciting' of the bunch of KOH flaky polishes but that doesn't mean that it doesn't deserve some love here. 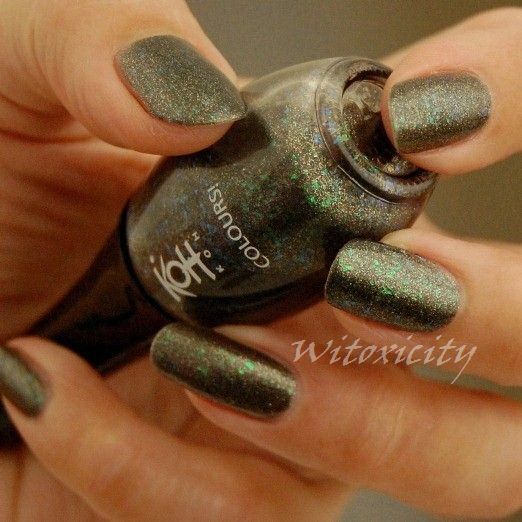 Green Stardust is a dark grey/khaki green jelly with silvery micro-glitters and the usual iridescent flakies. 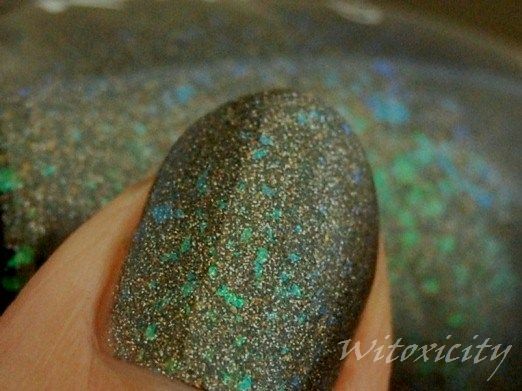 The flakies are green when viewed upfront and aqua/blue and sometimes purple when viewed at an angle. With flaky polishes, it's always nice to pile on the layers to pack on the metallic flakes for maximum impact. I did four coats on all nails except the ring finger, which has three. Because it's basically a jelly polish, polishing with it is so trouble-free. Also, in general, any flaws in application or any minor dents tend to elude detection due to the busy-ness and density of particles in the polish. Gotta love flaky polishes for that! Oh. My. Gawd. That is fabulous! That's one unique polish. It looks so great on you! This is such a different take on flakies, I really like it. I must admit the blue version is my favourite, but I'd love to own either one of them all ;) This colour looks gorgeous on you! What are gorgeous set of nail polishes, I love this one so much!! I wish I had the money to buy one right now! This is a gorgeous one . This reminds me of some sort of exotic fish scales . I seriously love your swatches and pictures. I love how it shows every detail of the polish. What camera do you use? You must teach me your secret! Haha. That polish is awesome! 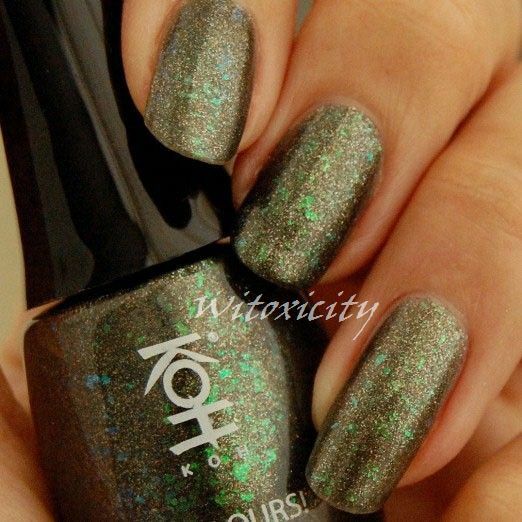 I wish they had KOH polishes here in the states. Awesome! This green is soooooo beautiful, can't breath. Mind you this coming from someone who didn't like green that much but coz of you turned into a greenaholic! I love all the flakies you have shown here. Stunning photos as always my dear. What a pretty nail polish!! Oh wow this is really a beautiful polish, looks gorgeous on you. Que lindo é este esmalte. How beautiful is this polish. Wow, that's a really nice colour. I'm into all kind of greens and especially greens with a hint of brown! Wow, I should buy this immediately! LEAST exciting?! Are you kidding me?! 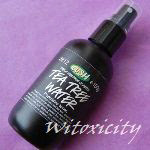 Note to self: Go to store and buy it :(! Well, so far, I still think Blue Universe is da bomb. BUT that's just me. :P Still, this Green Stardust is even more pretty in real life. Its green is even greener. Have a look in the store if you have the chance. Stunning! Breathtaking! Drooling! Amazing! Who doesn't want to own one of the flakies. Awesome photos. You are a real pro my dear! it looks good on you! PS - I think this may be a close dupe to Alessandro Poison Green, but I'm sure it's a better value as the Alessandro bottles are so tiny!